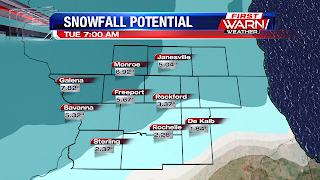 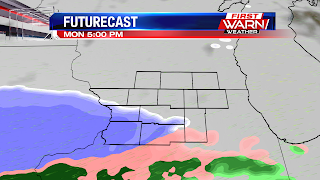 Another round of winter weather looks to move into the Stateline late this afternoon. 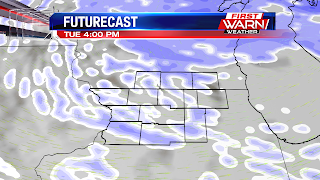 It should linger overnight tonight and into your Tuesday. 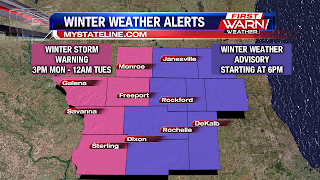 Because of the snow and ice expected, a Winter Storm Warning goes into effect at 3pm for the western half of the Stateline (including Stephenson, Green, Jo Daviess, Carroll and Whiteside counties). 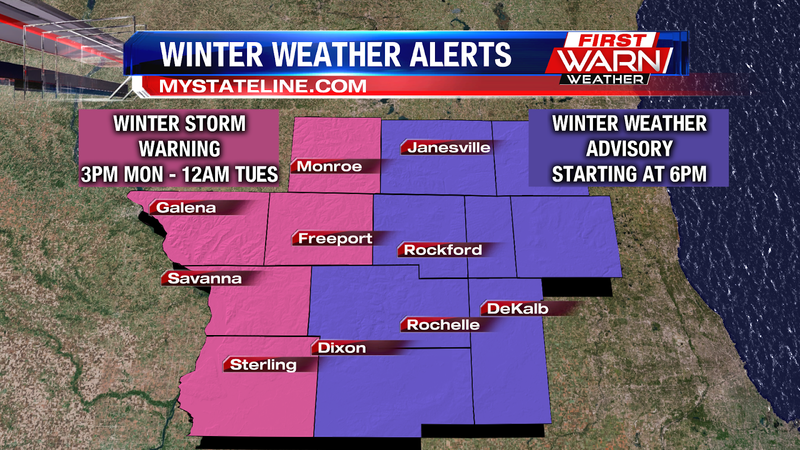 A few hours later, at 6pm a Winter Weather Advisory goes into effect for the rest of the Stateline. 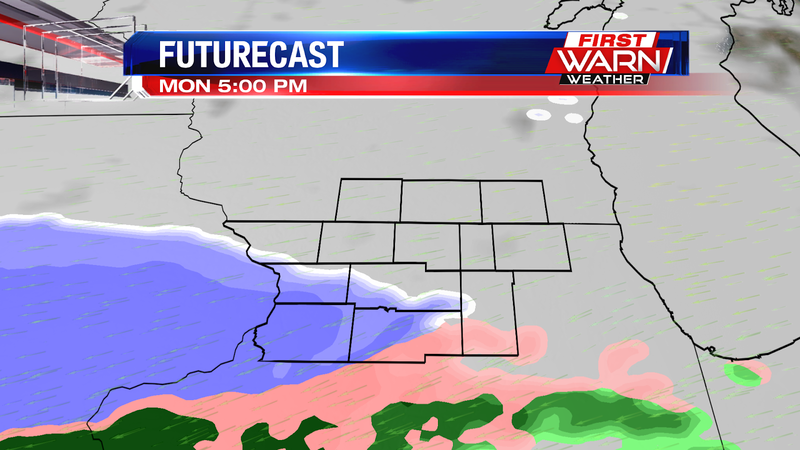 Much of the precipitation should begin around 4-5pm this evening as a wintry mix and freezing rain. 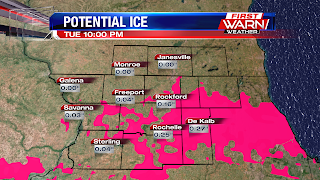 With the potential for more freezing rain, expect some slick spots. 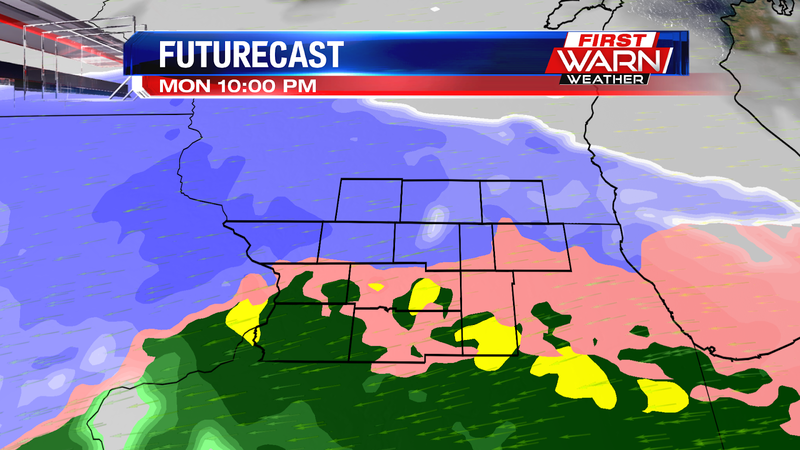 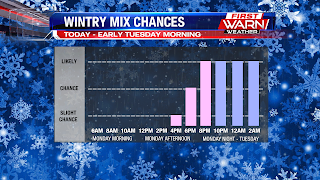 The wintry mix should transition over to a wet snow this evening and into your Tuesday. Futurecast has the chance starting around 4-5pm for southern portions of the viewing area. 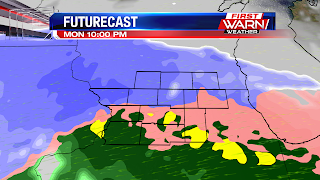 The precipitation will build northward as the evening progresses, and by 9-10pm much of the area should be dealing with a wintry mix / snow. 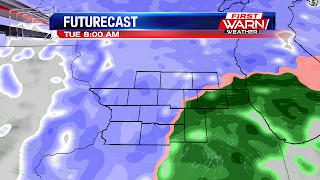 As snow continues to fall tomorrow morning, the low pressure system will move overhead. As the low pushes off to the north and east, expect wrap around snow showers to continue tomorrow afternoon and evening. 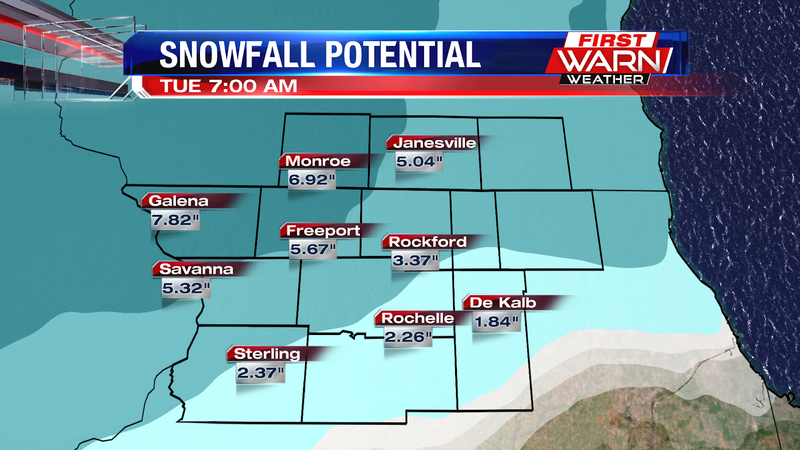 We could be talking about total accumulations of 3-6" in many locations. 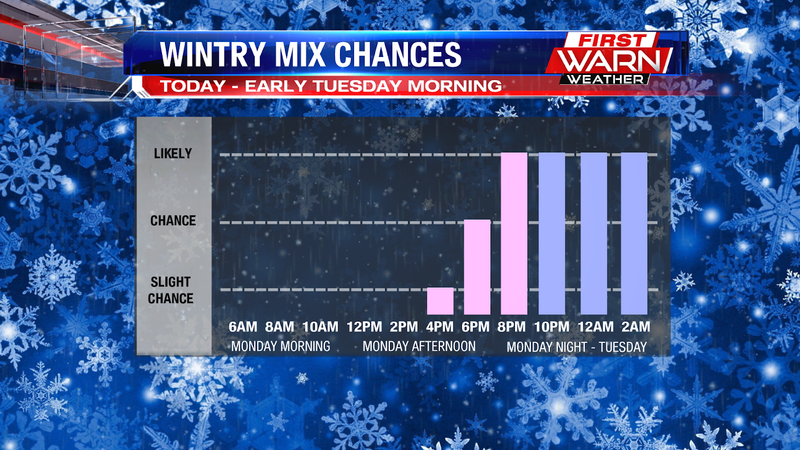 Depending on how much freezing rain/wintry mix we start off with will dictate how much in the way of snow we end up with. 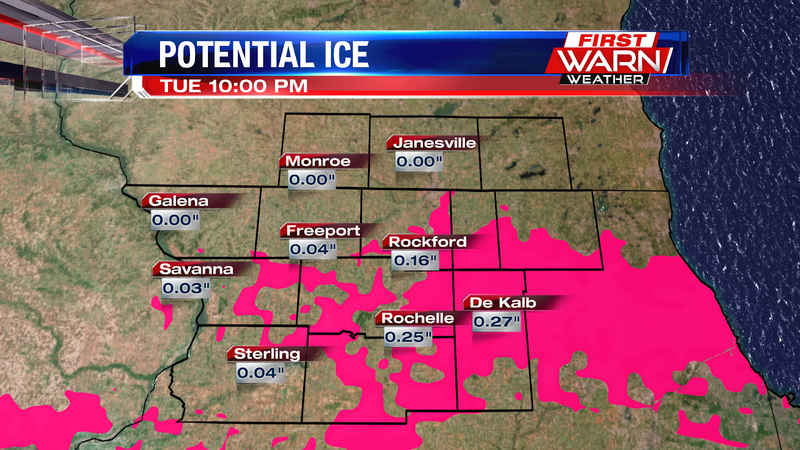 Upwards of .1" of ice is also possible by the time it is all said and done tomorrow. 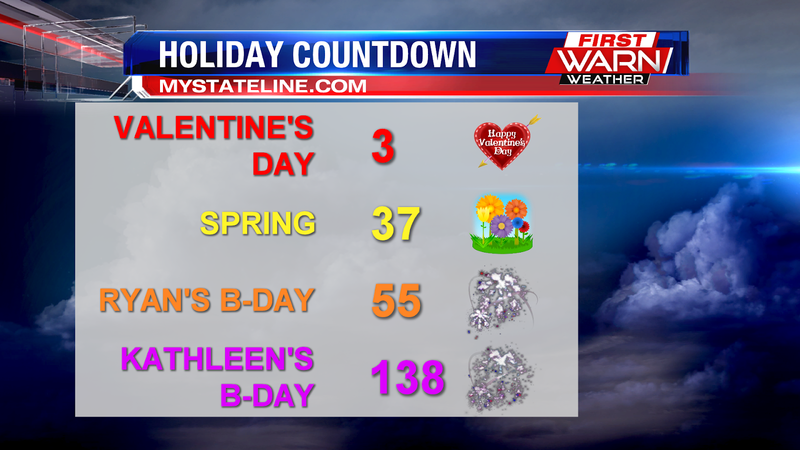 The good news for those of you that are looking forward to spring... there are only 37 days left!